I didn't know traveling within the EU does not require stamping of the passport. So my train ride from Paris to London was the first time my passport was stamped since Moscow to Riga. The train went through the English Channel using the Channel Tunnel which connects UK and France by rail. So that means that I still did not travel by ferry or by plane. I was traveling on the train, which is a land transport. Not bad huh? I traveled from Singapore all the way to Europe and then to the United Kingdom by land! Now the sad part. You see, usually when I arrive at a new city, I would go straight to to the railway ticket office to do an advance booking for my next train to the next city. However, as I was buying the ticket, the staff told me that the discounted price ticket (with the Global Pass) was sold out! My plan was to leave London to Amsterdam on 18th Sept, and that would give me 2 days 2 nights in London. So now if I want to leave London on the 18th, I had to pay the full fare and it cost more than twice the discounted fare. I was not going to pay that much. I then asked the counter staff for the following day on the 19th, and fortunately, they have discounted tickets for the 19th. But that meant that I had to stay 1 additional night in London. That usually won't be a problem right? After all, it was only 1 more night. 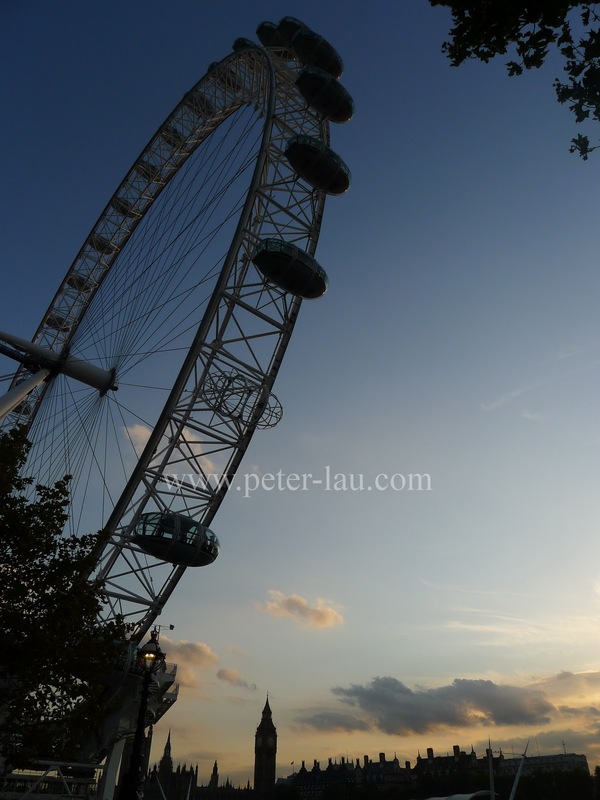 However, London is extremely expensive and I was not willing to pay any amount just to stay 1 night. Furthermore, my train departing London was in the morning at about 6am. So it would be a waste of money for that few hour in the night. I resigned to the fact that I would stay outside the train station if it was closed at night. So I checked in to my hostel and it was a crazy place. The people there were wild! And the wi-fi there was bad. I spent a few hours in the hostel trying to change my hostel booking in Amsterdam because of the 1 night delay. Need to change a lot of my plans too. After I got that out of the way, I took the Tube (their Metro) to the Emirates Stadium - the home of Arsenal F.C. I was not even sure why I was there. Maybe because it was quite near my hostel. Then I went to the residence of The Queen -- Buckingham Palace! Well, after seeing so many palaces, Buckingham Palace doesn't seem to stand out. Really, it pales in comparison to the Palaces in Russia and Austria. Walked around to explore the city. 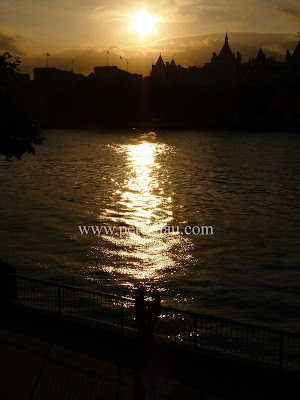 Then I went across and along River Thames! So many sights to see in London. 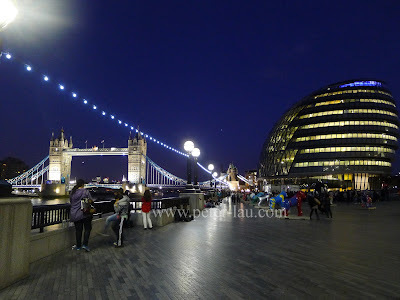 I went to find the London's most iconic structure - The Tower Bridge! Most people think that it is called the London Bridge right? 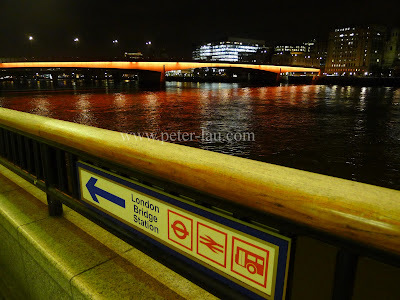 When you see the picture of the London Bridge below, you would probably be asking the same questions that I asked, "Huh? Is that it? London Bridge?" Pretty disappointing huh? In terms of the architecture and structure, it is nothing close to the Tower Bridge. And guess what? The London Bridge is just opposite the Tower Bridge! It really just looks like any typical bridge across the river. As I was walking along the River Thames towards the London Bridge, I met 2 young ladies who recommended a very good restaurant for Fish & Chips. They told me that it is the place where locals would go and it wasn't expensive. Since I was in Britain, I must try their famous British Fish & Chips! So I went. The restaurant is located under a railway bridge near a Tube Station. Then I went to Piccadilly Circus, which is akin to the Times Squire in New York. Large neon billboards and signs are seen everywhere and the place is packed with people. In fact, too many people for my liking. Not sure how I ended up in Chinatown while I was walking! The whole shopping and entertainment district is around here, in the West End of London. It is more commonly referred to as The West End. After a long day and a long night, I went back to the Hostel to rest. Going to see Stonehenge the next day! After arriving in the UK by land, MY LIFE WAS NEVER, EEEEEEEEEEEEEEEEEE...............................EEEE....................................EEVER, THE SAME AGAIN!! !